I love testing new shoes, boots, sneakers, and sandals. My wife thinks I'm obsessed and she's probably right! Why on earth do I do it? Simple– I love sharing the few things in this world that REALLY work for my feet. And honestly, for every sneaker, shoe, etc. that I write about, there's probably 5 more that I liked as well, but sitting down to write about it takes time I often don't have. So, my patients are usually the ones who benefit the most from my "footwear habit", furiously scribbling my recommendation of the week as I ramble on about the hot new thing on Amazon or Zappos. But not today- This one is too good not to share with everyone. Let me set the scene for you- shoe shopping for Disney World. 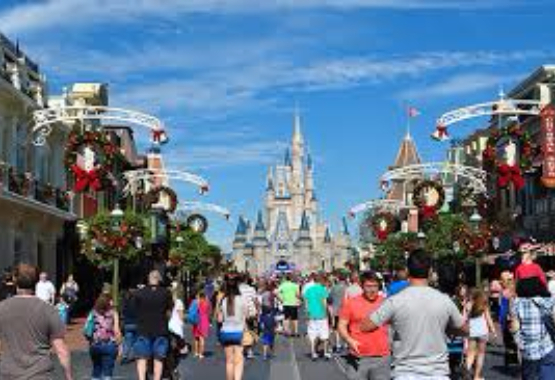 A family trip to Disney World was bearing down on me, and I was starting to panic. I knew the Samurai Insoles Ninjas would have enough arch support to get my feet through it, but the question I usually have to answer is, "Now what am I going to put them in?" I have some go-to sneaker picks that I have in this type of situation (I'll talk about them in another post), but mine were looking a little worn, I couldn't get replacements at the last minute, and we were leaving in 2 days! While I was pouting about that (and getting lectured about how I always wait until the last minute to pack), I stumbled on the Bandit 3 from Under Armour. I could have them in my hands before we left. I took a chance. I'm soooo glad I did! I was interested in getting through Disney without someone having to wheel me home in some sort of medical apparatus. I wanted to enjoy my kids and family instead of thinking about my hurting feet. I wanted to survive this trip. And the Bandit 3 with my Samurai Insoles Ninjas delivered in spades. 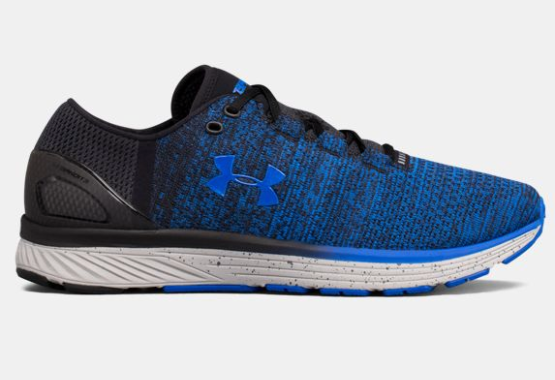 The UnderArmour Bandit 3 is lightweight athletic shoe with a TON of plush cushioning. I won't bore you with the shoe industry mumbo jumbo about space age foams, patented stability technology, yada yada.... because every shoe company has their own line of shoe-speak, and in my experience it doesn't really amount to a hill of beans. But, what I CAN tell you, is that the Bandit 3 is ultra cushioned, super lightweight, and has just the right amount of heel support with a semiflexible heel counter. The upper is supremely breathable, which I was eternally grateful for in the Florida humidity, and it is also super soft and stretchy. I didn't have ONE foot blister or abrasion after walking Magic Kingdom, Epcot, Animal Kingdom, and Hollywood studios. And the best part, the Bandit 3 has an easily removable factory insole, a MUST for people who need orthotics to keep their feet happy. With my Samurai Insoles Ninjas installed, there was still plenty of room for my wide foot and wonky toes. “The UnderArmour Bandit 3 is my new go-to shoe for my Samurai Insoles Ninjas! My Nike and Asics are now sitting under my bed collecting dust." So, if you have a need for a new pair of sneakers, or you're like me and you really don't "need" them but you'll buy them anyway :-), check out the UnderArmour Bandit 3! I am leaving a link at the bottom of this page to check them out on Amazon, where they have the widest selection of colors and sizes. I don't benefit one penny from this recommendation- Enjoy! FYI- ALWAYS order one half size larger than your regular size when buying UnderArmour shoes, they run half a size smaller! Show Me The New Samurai Insoles Ninjas!